hi, Im new here but it seems i found this wrong. could you mind telling me or fixing this. Why is my payment history like this? 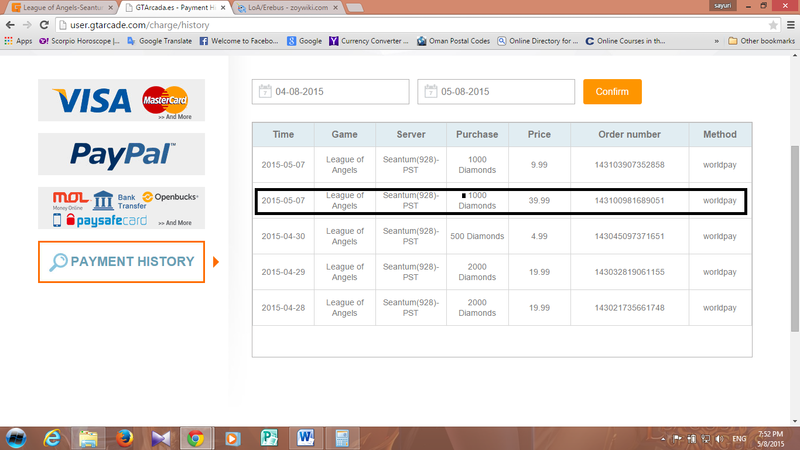 Hi, since I´m only FM and not GM I cannot access database to check this could you tell me which one of it is wrong the number of diamonds you pruchased or the price of dollars used? When you reply then me or another FM will report this for you. But please include your IGN (In Game Name) and server number so we could fix it. thank you for acknowledging my concern. what seems to be wrong in this is the number of diamonds. although i got the diamonds in game , it would be better if they tally with the payment history so that i could check how much more do i need to recharge to reach a diamond quota in game. I made report for you, please be patient. 2019-4-20 04:58 GMT+8 , Processed in 0.085683 second(s), 44 queries .